Welcome aboard our fine timber ship the “LADY BRISBANE”, for a relaxing day on the Broadwater and Moreton Bay Marine Park. Sailing days depend on tides and vary each two weeks. Buy a GIFT CARD or BOOK Online now. We have been operating since 1987 and have extensive coastal and Broadwater experience, ensuring your experience is a memorable one. Leaving the Brisbane River, we pass the modern port facilities, enormous overseas ships and new developments. We cruise past the Peel Island leper colony and St Helena Island colonial prison which offers a fascinating insight into the darker chapters of colonial Queensland history. **Magnificent Humpback Whales are sighted regularly between August and October. The mood changes to winding channels and quiet uninhabited islands numbering over 350. 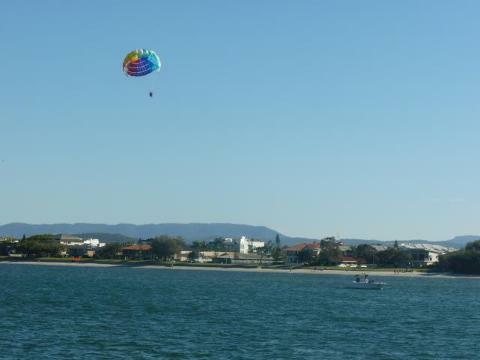 Here you may encounter wildlife such as dugongs, dolphins, black swans, and turtles. 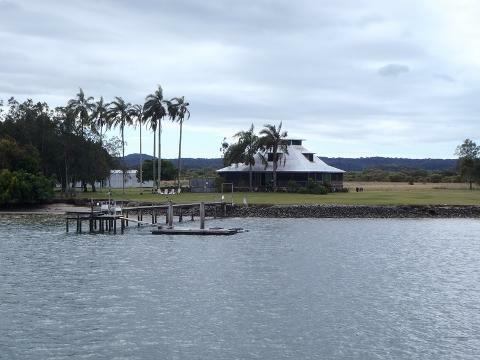 On your sheltered water cruise we sail past Stradbroke and Jumpinpin Islands, Couran Cove Resort, the Sovereign islands, passing Seaworld with the 'active' volcano, and through the exciting Broadwater to Marina Mirage. Your expert Captain will entertain you with a knowledgeable commentary for the duration of the cruise. before alighting at Marina Mirage, Main Beach, where your transfer coach awaits. Price includes: *6.5 hour cruise, *Freshly baked muffins, tea/coffee for morning tea, *BBQ lunch with export rib fillet steak, deli sausages, fresh salads, bread and fresh fruit and *Afternoon tea biscuits tea/coffee PLUS *Return coach to your departure point. Passengers are returned to Brisbane via coach. 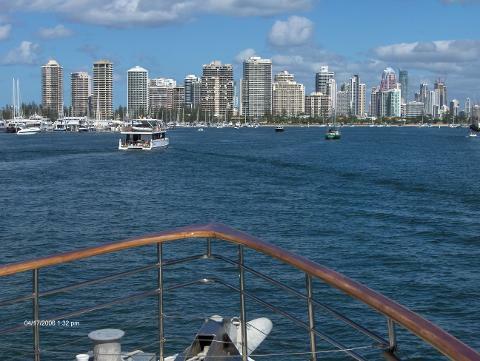 A fully licensed BAR is also available onboard MV Lady Brisbane. NB. Please let us know if wheelchair access is required for both the boat AND the return coach. Departing 8.30am OR 9.00am. Check times on booking, as this cruise is tide dependent. NB. Please be aware that this cruise is through restricted narrow shallow channels. 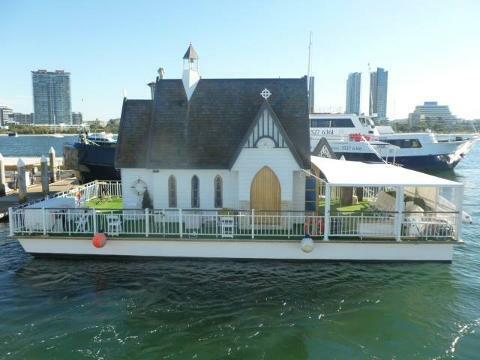 Houseboats and yachts break down or may be stranded in our path. We leave the main shipping channel to show you extra vistas that normal, non boaties, would never see. There may be a small element of hold ups. On rare occasions, you may return to your departure point up to 6pm. Security gates at Northshore Hamilton will remain open for our passengers. * Book online up to 72 hours prior to each trip. Bookings available up to the day of travel by phoning our office on 07 3630 2666 (M-F), OR call mobile 0407 500 843 to book after hours.